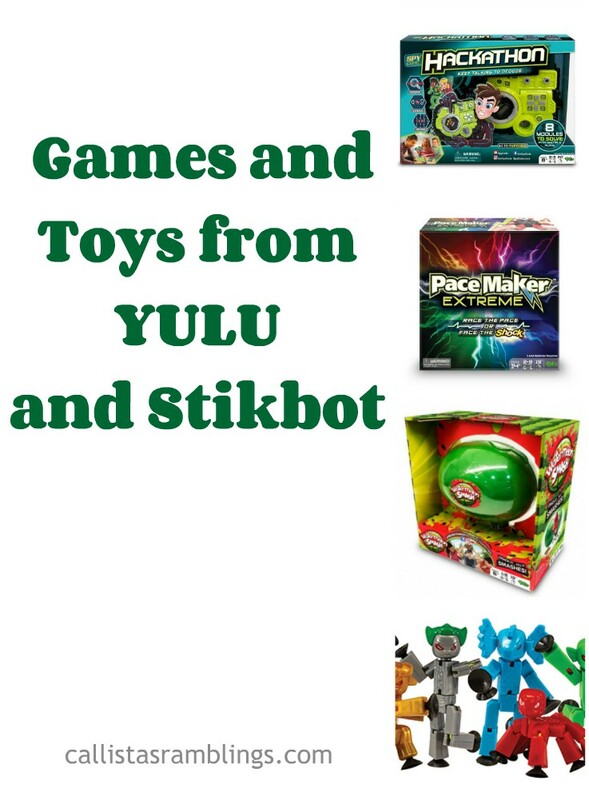 I’d like to introduce you to three NEW games from YULU and a new type of Stikbot toy. Disclosure: We received these games and toys in exchange for this post. This post contains affiliate links. Check out these three new games from YULU. Links are included to Amazon but you can also get them at Walmart in Canada. Spycode Hackathon is the newest game from the Spycode series. Now you can be a hacker too! One person works the console and can ONLY see the console. The others can ONLY see the cards. 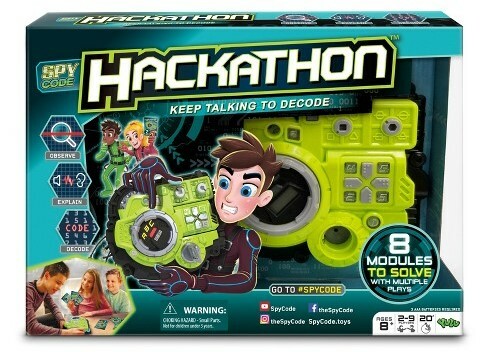 Talk to each other to figure out how to hack the console. Ages 8+. Good to test your communication skills. 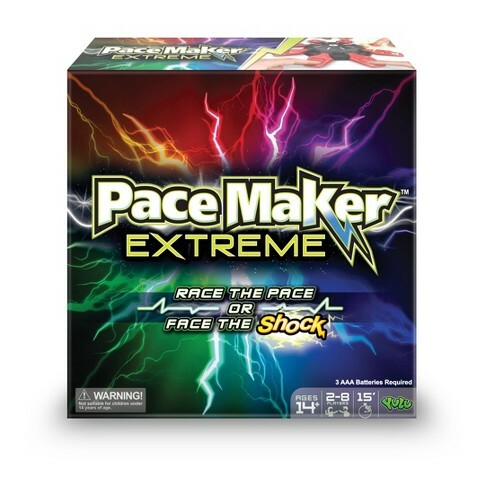 Pacemaker Extreme is SHOCKING. No seriously, you get a little electric shock when you play it on shock mode. I’m a big baby so I didn’t like it and you can’t play on shock mode if you have a pacemaker, a heart condition, epilepsy or are pregnant. But luckily there is a NON shock version if you can’t or don’t want a shock. The game is labelled for 14+ which is good for the shock version but the non-shock version I’d say it’s more of a 8+. Players put their fingers in the game and once started, you have to click your button when it’s your turn. If you click too early, too late or when it’s not your turn you lose (and get a shock on SHOCK mode.) Pay attention! 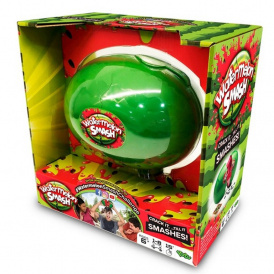 Watermelon Smash is a fun game that would be even better when summer comes around but can totally be played now too. You touch the watermelon to your head how ever many times the game tells you to, hoping it won’t break open. If you’re unlucky then the watermelon breaks open and either spills plastic watermelon seeds (indoor version) or real water (outdoor summer version). Recommended for ages 6+ but basically you can play as long as you can count! We’ve mentioned Stikbot on this blog a few different times and now I’d like to introduce you to Stikbot Monsters. 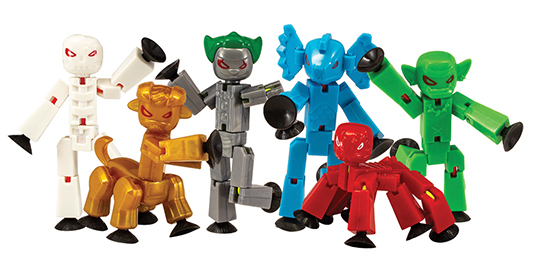 There are 6 Stikbot monsters for you to collect and make into your own monster movies. Grim, Kyron, Giggles, AquaFang, Insector and Goblin. Just think of all the stories you can make once you add in your other Stikbot figures and your stage.